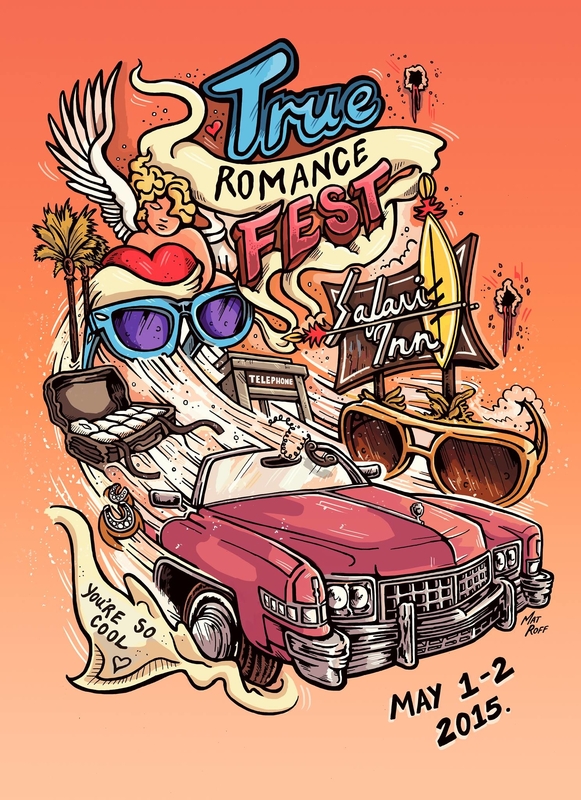 True Romance Fest, a fan based festival held each year at the famous Safari Inn Motel in Burbank, CA, asked me to create a poster. You can purchase these posters from the festival in May. Drawn by hand and painted on Photoshop.